We review the stylish Leica C-Lux travel zoom with a 15x optical zoom lens, and an uncanny resemblance to the Panasonic Lumix TZ200. 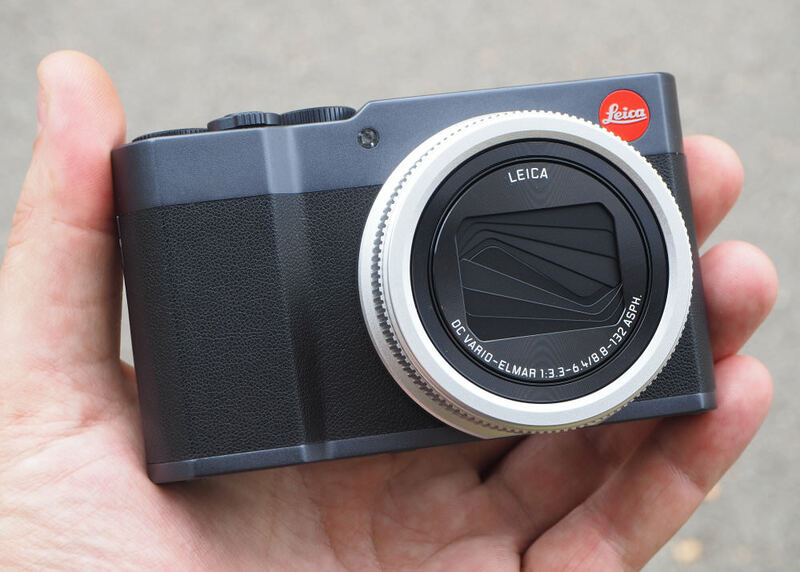 The Leica C-Lux is a stylish camera that packs a lot into a compact camera body, including a 20mp 1inch sensor, a 15x optical zoom lens, and it's much smaller than bridge cameras. Just like the TZ200, the camera is packed full of features including high-speed shooting, raw mode, creative effects, a 3inch touch screen, electronic viewfinder, plus 4K photo and video recording. However, it is more expensive than the alternatives available. 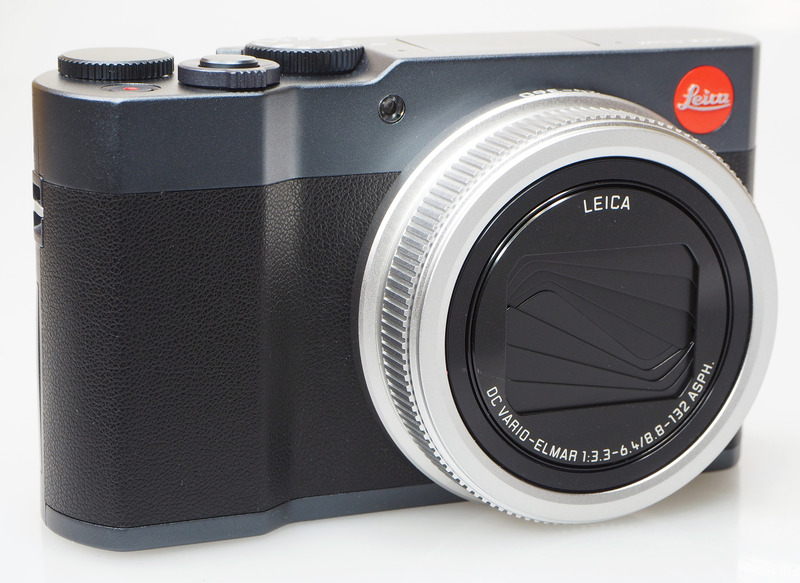 The Leica C-Lux is based on the Panasonic Lumix TZ200 (ZS200), and there are a number of visual differences, but are there any differences in the image quality produced by the camera? Let's find out! Like the TZ200, the C-Lux offers a 15x optical zoom lens, a 20mp 1inch BSI CMOS sensor, manual controls and it's designed to fit into your pocket, making it an ideal travel camera. The Panasonic Lumix TZ200 costs around £729, vs the Leica C-Lux, which is £875. 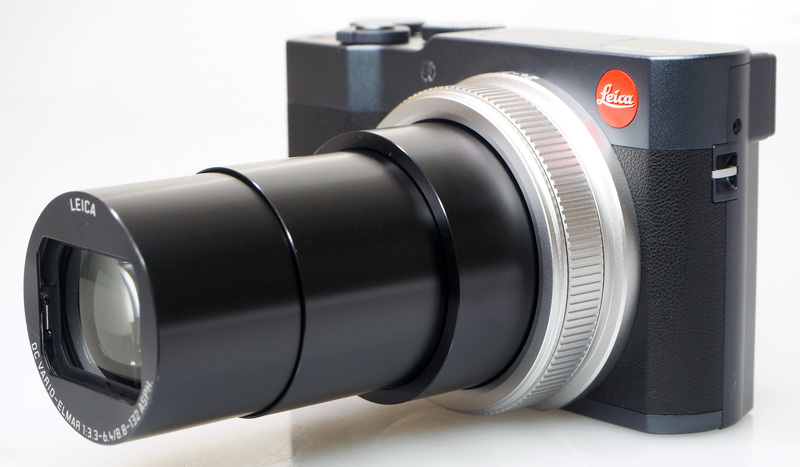 The Leica C-Lux features a 1inch 20.1mp BSI CMOS sensor, which is larger than most compact cameras, and therefore gives better noise performance and image quality than smaller sensor cameras. 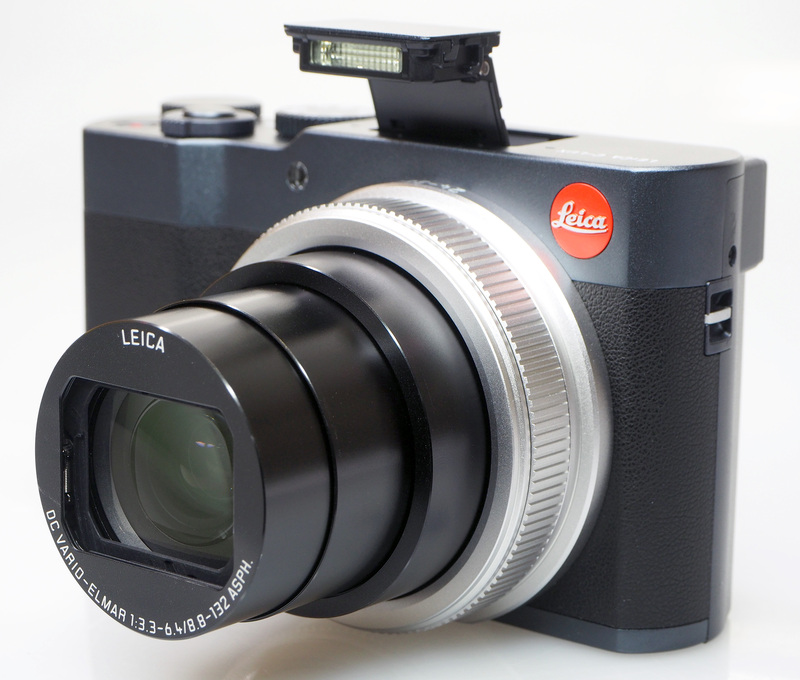 The styling of the Leica C-Lux gives the camera a more premium look, and is available in two colour options, the "Midnight Blue" (black/blue/silver) shown here, as well as a "Light gold". There's a Leica 15x optical zoom lens, giving a wide-angle 24mm to 360mm telephoto zoom (in 35mm equivalent terms), with an f/3.3-6.4 aperture, and close-focusing is down to 3cm, for close-up macro photography. The camera has P, A, S, and M modes, as you would expect, and you can shoot raw, with in-camera raw processing also available. There are a number of shooting modes, including intelligent auto modes, creative effects, and numerous scene modes. With the same focus system as used in the Panasonic Lumix TZ200, we expect autofocus speeds to be quick. 5-axis Hybrid Optical Image Stabilisation (OIS+) also keeps shots steady and 4K video footage smooth. The camera records 4K (UHD) video at 30fps with stereo sound, and there's a manual movie mode. High-Speed Video enables the recording of fast-moving subjects in Full HD at 120fps (50Hz Area - PAL), while Time Lapse / Stop Motion Animation is also available. The camera has built-in Wi-Fi and Bluetooth for remote control and transfer of images. 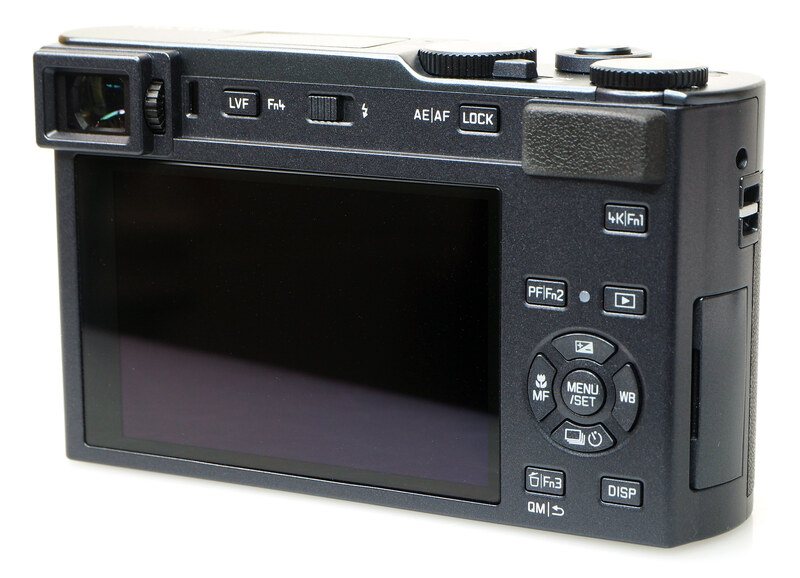 The back of the camera features a 1240K dot 3inch touch-screen as well as a 2330K dot equivalent electronic viewfinder (EVF) with a magnification ratio of approximately 1.45x/0.53x (35mm equivalent). Focus Peaking shows you an outline around areas in focus when in manual focus mode and, using the touch-screen, you can set the point of focus easily, as well as enlarge images in playback. As well as capturing 4K video (30p/25p/24p in MP4), you have the option to save 4K photos (30fps). Plus, the camera can auto mark images from 4K photo sequences as well as create sequences in one frame. Auto Marking works by the camera detecting motion or a face which it then sets a marker by and allows you to jump directly to the frame as soon as a situation changes (minimising time spent choosing the best shot). 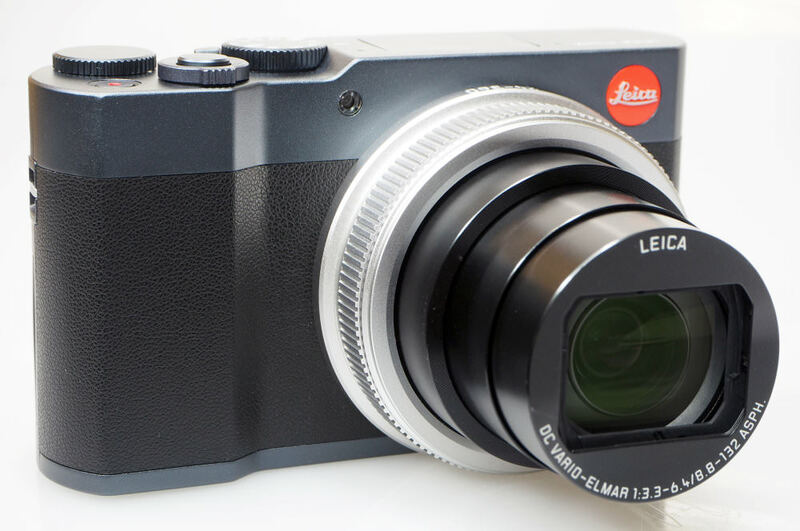 The Leica C-Lux design is similar (but different) to the TZ200, and the look of the camera divided opinion with some liking it, and others not. The camera body is made of metal, with soft-touch rubber to provide grip. The grip is black, and camera body is a dark blue / grey, whilst the lens ring is a bright silver, with a black protruding lens. It's certainly different. The camera is well built, feels solid, and the rubber grip on the back and the front help give something firm to hold on to. There is a mechanical on/off switch on top of the camera along with a command dial, mode dial, zoom rocker with a shutter-release button in the middle, and a dedicated video button. There's also a built-in flash hidden away under a cover top-centre, and there are a good number of customisable function buttons on the camera, with a total of 4 physical function (Fn) buttons, and you can also customise on-screen function buttons. 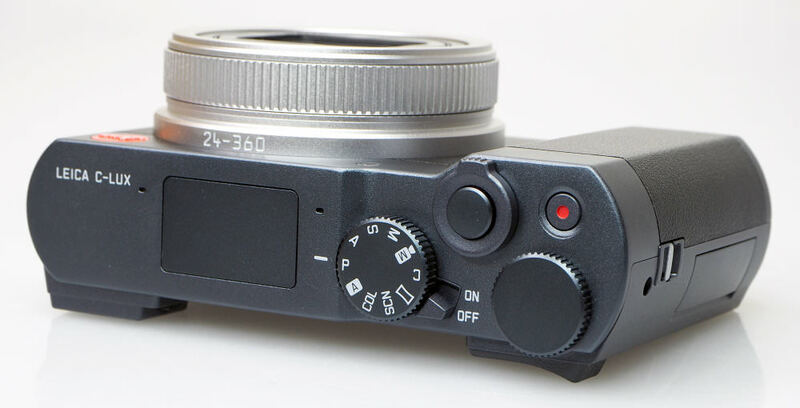 Leica has given the camera square buttons, instead of the round buttons on the TZ200. If you switch to the C (Custom) setting on the mode dial, you'll find three custom modes are available. There is a control ring surrounding the lens on the front of the camera, and the lens protrudes quite noticeably from the front of the camera, making it quite bulky for a "pocket zoom" camera. The 3inch screen is bright, clear and easy to use in bright outdoor conditions. As it's a touch-screen, you can easily set the focus point to any area of the screen and also capture an image by pressing the screen. One thing that would have made this camera even better would have been the introduction of a tilting screen as they make it easier to capture photos from different angles. The electronic viewfinder (EVF) is small but it does have an eye-detection sensor so that it will automatically switch to the EVF when you hold it up to your eye. The resolution is good and it also features a dioptre adjustment. When using the EVF you can use the touch-screen to move the focus position but you can turn this feature off when you find you accidentally do this with your nose or cheek. The EVF on our camera often has a blue tint to it, and this is noticeable if you're not perfectly lined up with the EVF. Menus - The menus are the same as the Panasonic TZ200 menus, albeit with a different colour scheme. They are clearly laid out, with different sections for the different options and the camera has built-in help to explain each option. You can also use the touch-screen to navigate the menus. There is the QM button (Quick Menu), which brings up some of the most common options on screen making it quicker to change settings without having to go into the menus. 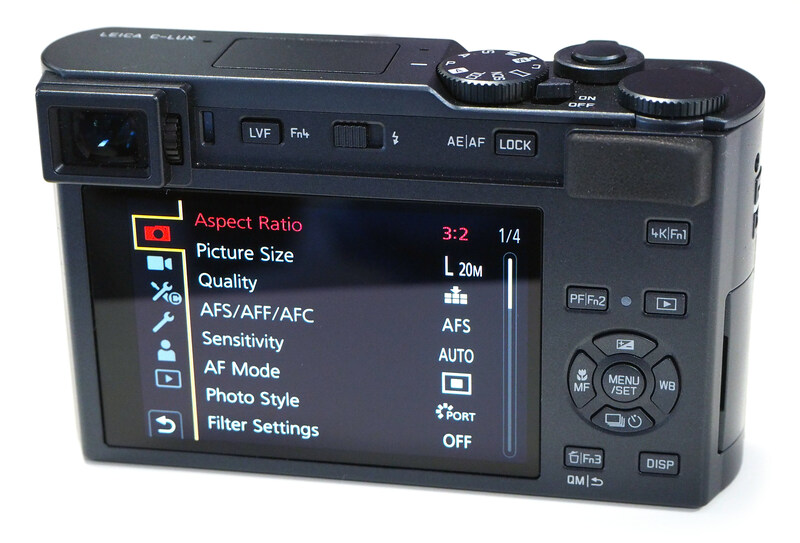 The 4-way controller also gives quick access to a number of settings, including exposure, white balance, focus, and drive mode. The "My Menu" menu lets you add your favourite settings, making it easy to access them. Wi-Fi and Bluetooth are built-in, so you can connect the camera to smart devices and share photos quickly. By using the Leica FOTOS app on your smartphone (available for Android and iOS) you can remotely control and shoot with the camera, transfer images, add geotag GPS location data to shots and get creative with your images. When shooting using the app, you can also use the touch-screen of your smartphone to set the focus point, and you can change a wide number of options and settings without having to touch the camera. 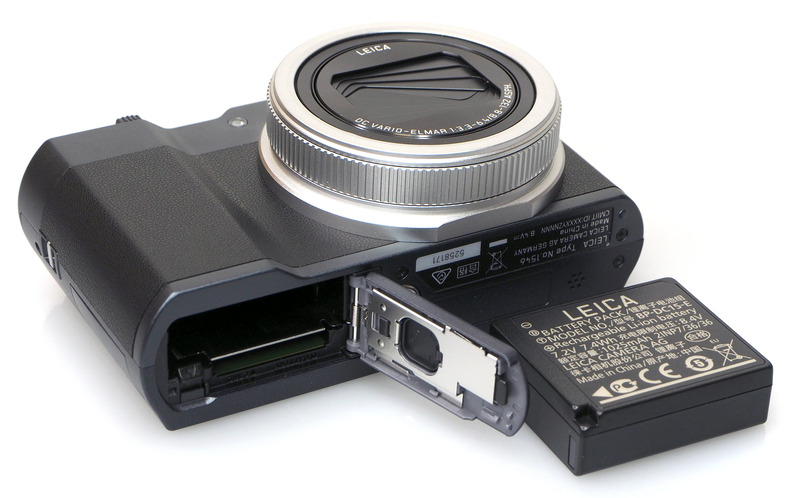 Battery life - According to Leica / CIPA test results, battery life is rated at 370 shots when using the LCD and you can charge the battery view USB, with the battery in the camera. This uses a MicroUSB cable, which many Android smartphones and other devices use, making it easy to find somewhere to charge the camera.